On October 25, as the parliament of the European Union condemned Iran’s hostile posture toward Israel, a number of Iranian hardline sites published articles aimed at tormenting the Jewish state. One article in particular,which purported to showcase Iran’s offensive missile capability against Israel, was republished by various Iranian sites. The article focused on the damage Lebanese group Hezbollah had inflicted on Israel by firing Iranian-supplied missiles at that country during the 2006 Israel-Lebanon War. A number of the members of the EU parliament had made the case that the resumption of economic ties with Iran following the 2015 nuclear agreement should not come at the expense of confronting other Iranian mischief and intransigence. However, while the EU parliamentarians focused on the question of Iranian incitement against Israel, the question of the Iranian regime’s poor human rights record was not included as part of the EU parliament’s report on the state of relations between Tehran and the 28 member bloc. The report, which is named “EU Strategy towards Iran after the nuclear agreement” was approved by 456 votes to 174. 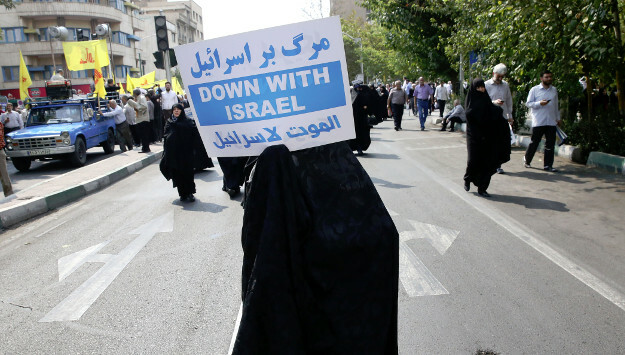 Iran is highly unlikely to stop its incitement against Israel, but Tehran has still welcomed the report, which is aimed to normalize ties between Iran and the EU. Comprehensive negotiations for broader relations are now set for December.